Stunning on the outside the brilliance of this leather boot is hidden in the details. 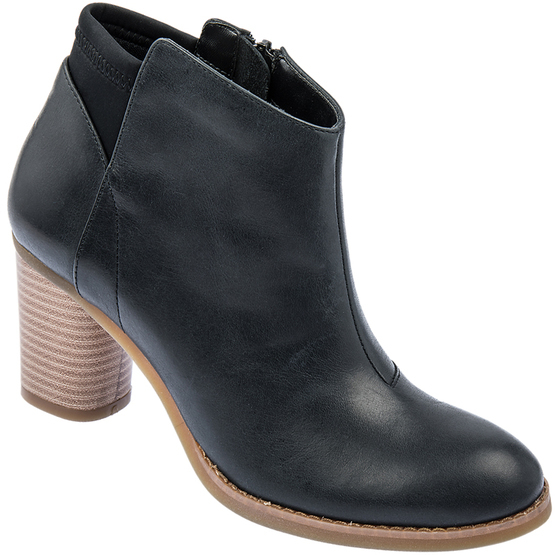 The heel has a soft fabric trim to prevent rubbing and the full zip entry makes them a breeze to slip on and off. Inside they have a generously cushioned removable insole and below that there is a padded insole so that those who require extra depth still have that beautifully finished interior.